Proud tradesman & builders who know what peoples homes mean to them. Fully insured tried and tested. Here at regional we will do are utmost best to convert your dream project into a reality , helping you with your ideas, plans and budget ensuring we get the best possible outcome for you. 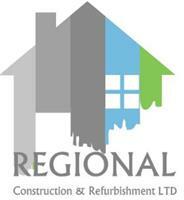 We provide the highest quality of building work whether its a loft,extension or a kitchen. We understand how much your home means to you so every inch and detail has to be right. So if your thinking about building up , around or inside your house Regional are the builders and tradesman you can trust. Here at Regional we understand that space is hard to come by, so we can design and build with you to utilise the space in your home giving you those wardrobes you always dreamed of but without taking up as much room as you thought. We give a 10 year guarantee on all refurbishments and new building projects whether its a loft extension or kitchen, you can sleep easy with regional on the job. Please feel free to visit our website to see our gallery or contact us to arrange to view one of our ongoing projects.